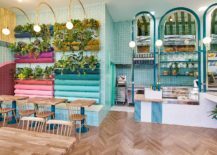 Bringing a dash of Italian flair, charm and delicacy to a rapidly expanding neighborhood in the French city of Lyon is Piada. 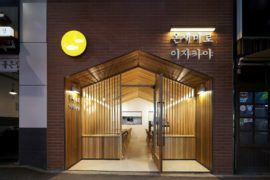 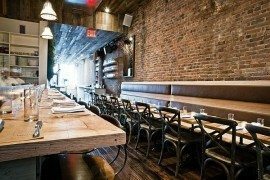 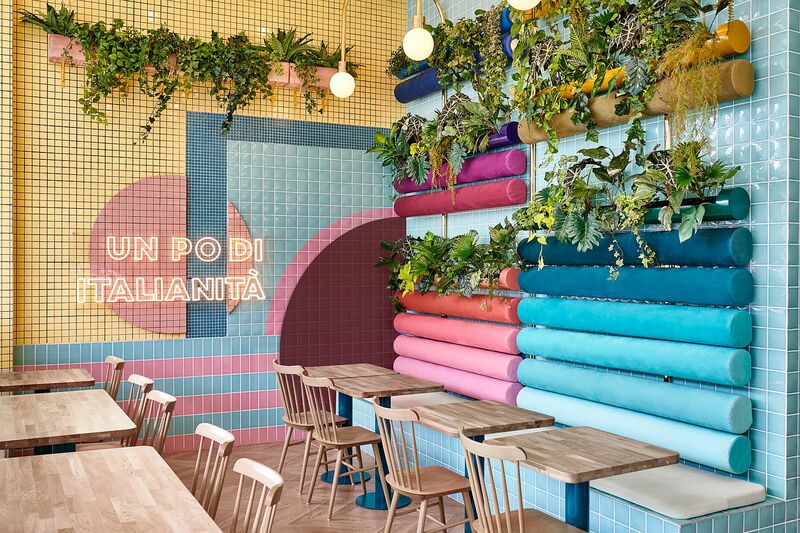 This tiny and engaging restaurant that specializes in serving authentic Italian delicacies is no more than just 40 square meters in size. 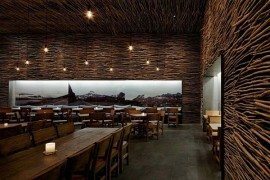 It might not be a fancy, huge and sophisticated space. 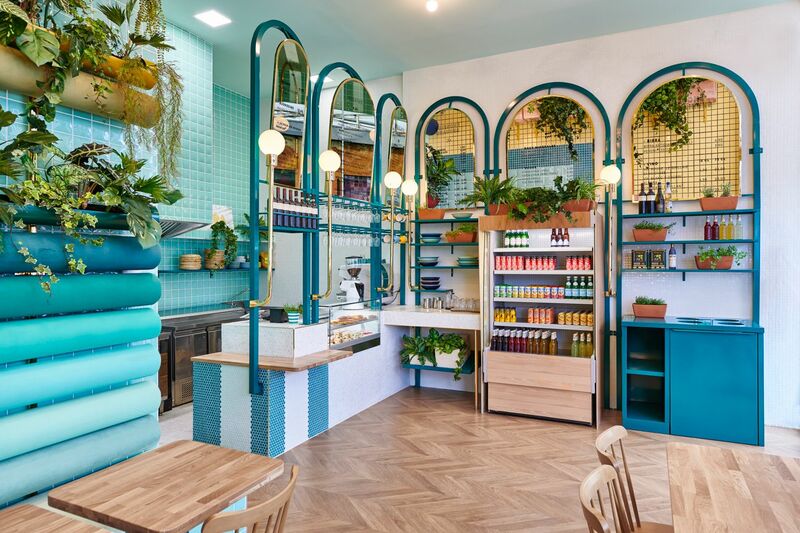 But Piada makes up for it with sheer enthusiasm, plenty of color, golden glint and design ingenuity that is mixed with a healthy splattering of green. 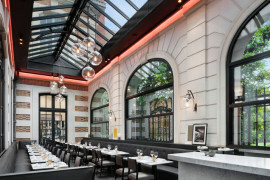 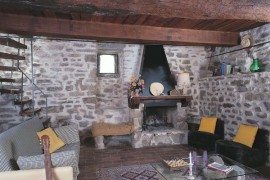 Step into this ‘trinket of Italy’ surrounded by France and you will instantly sense the magic in the air! 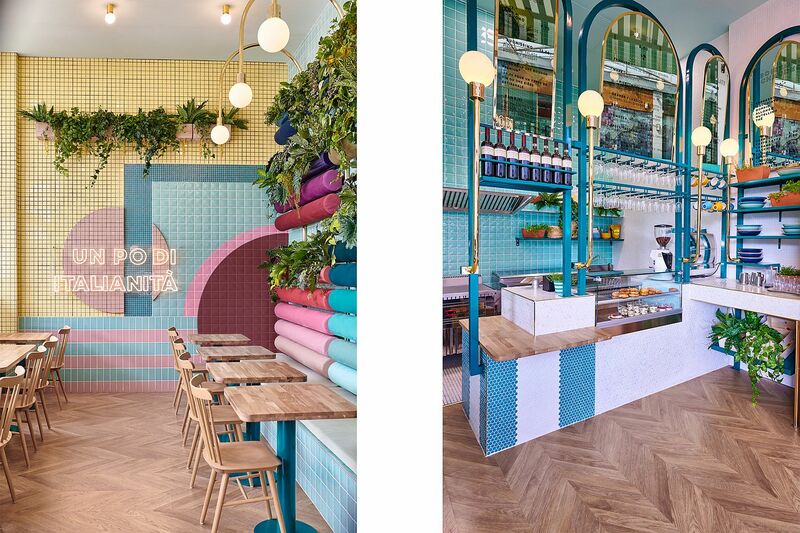 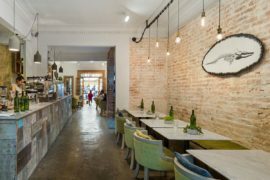 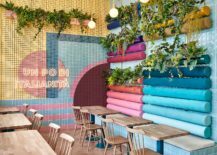 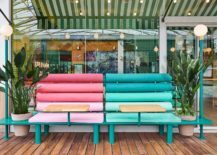 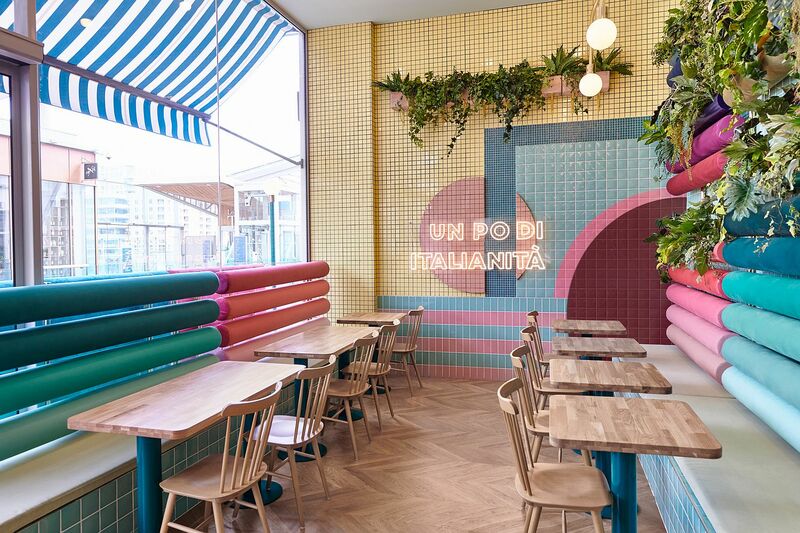 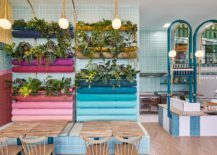 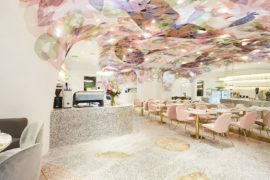 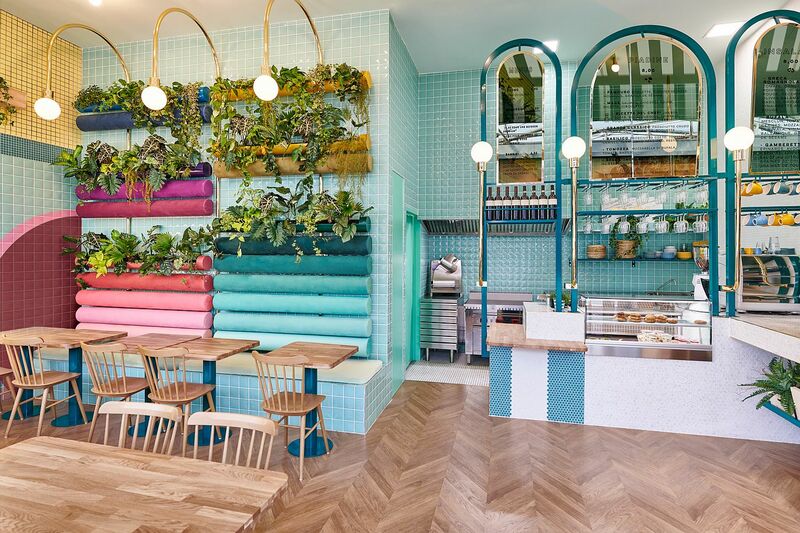 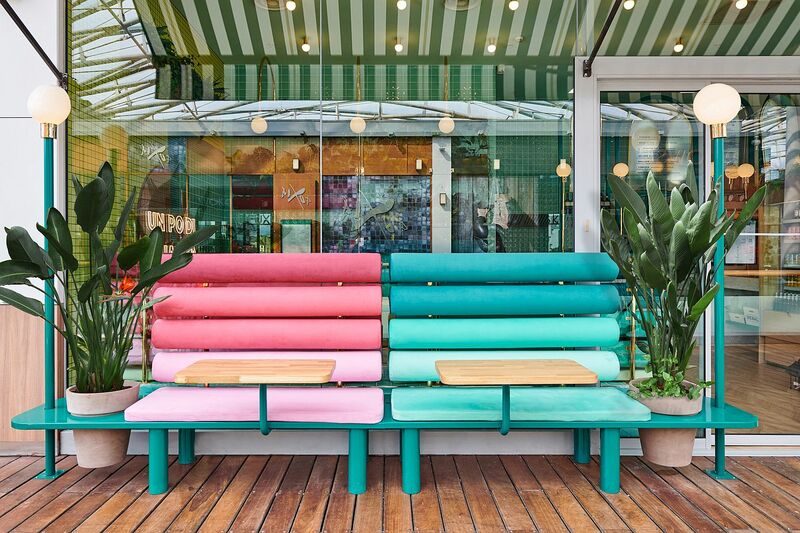 Designed by Masquespacio to reflect the food philosophy of owners Arthur and Mathilde, the restaurant feels like a cheerful, eclectic and inviting space full of fervor. 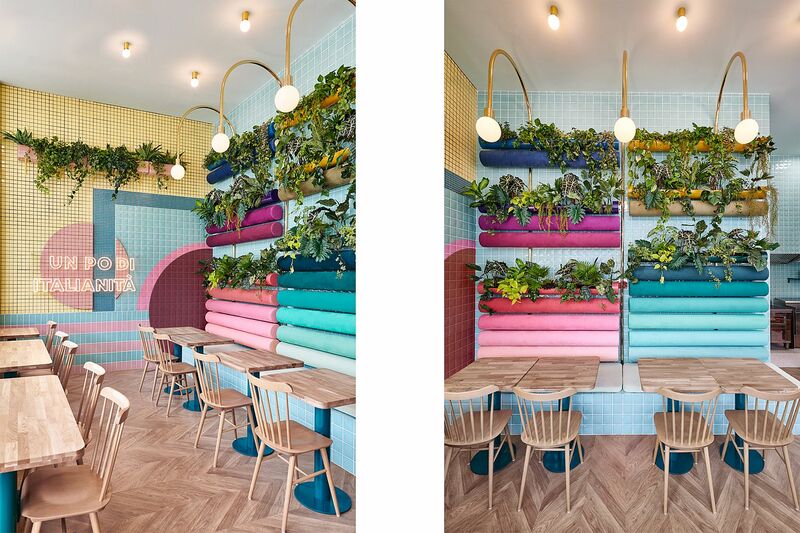 One of the first things you notice here is the use of multi-colored plush cushions shaped like bread loafs, giving the sitting area an identity of its own. 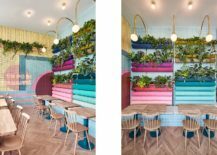 An additional layer of green comes in with indoor plants while the dazzling bar lamp fixtures add golden magic inspired by vintage Italian design. 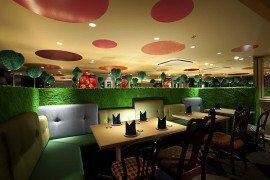 Greenery, colorful cushions and golden lamps rolled into one! 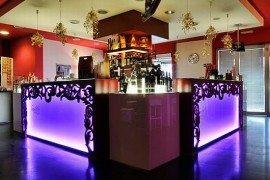 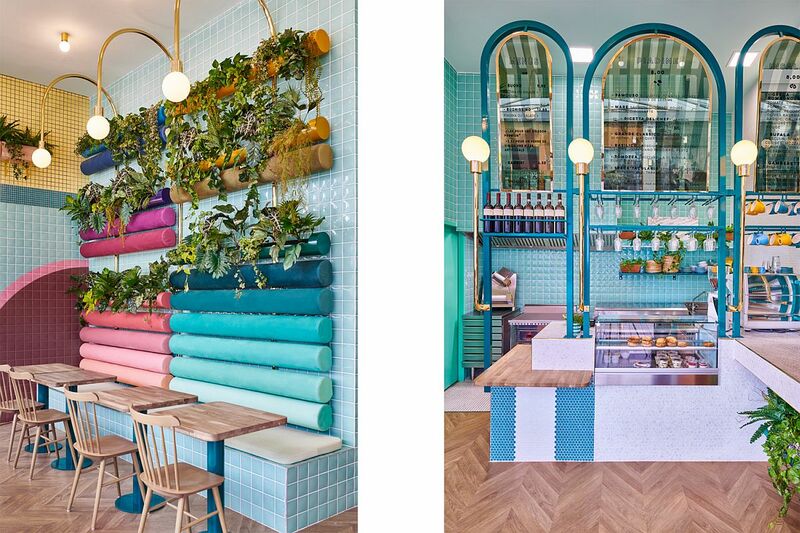 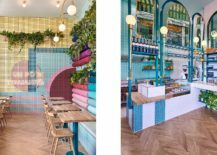 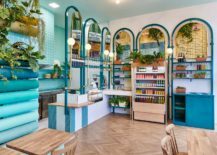 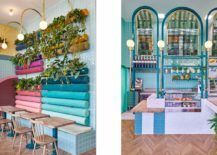 Colorful and eclectic Italian restaurant in France!